It’s hard to keep your business afloat with an outdated on-premise contact center platform. Moving to a cloud-based, omnichannel contact center solution is a cost-effective way to successfully navigate business growth, technology advances and changes in customer preferences. Don’t let your out-of-date contact center software sink your business. 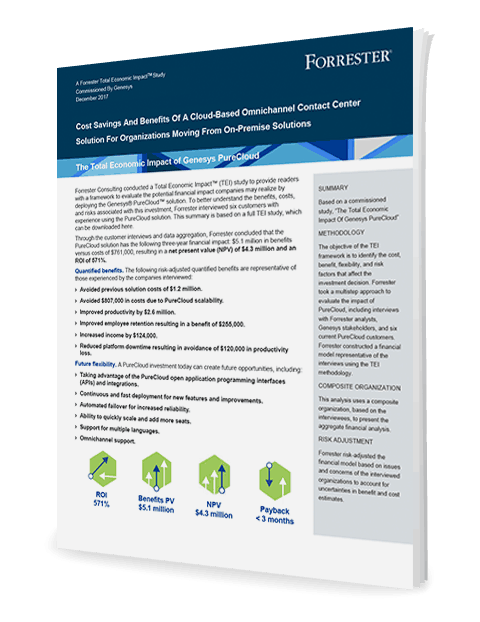 Download this Forrester spotlight to see what you can gain from the PureCloud platform.